For this operation we are going to want to have intense heat for a period of 7-15 minutes. The coals should be such that to produce intense heat either fresh charcoal with small uniform pieces. Saturate individual coals thoroughly with fluid from the lighter tin. Wait 1 to 2 minutes, then re-saturate and light. How hot the coals get depends on the many factors such as available oxygen which can be relatively low in the mountain tops with no wind and relatively high by the sea with high winds. If the coals are heated properly one can make 2 batches of popcorn from the same heated coals. Prepare the popcorn grilling hobo packet by folding the aluminum foil. 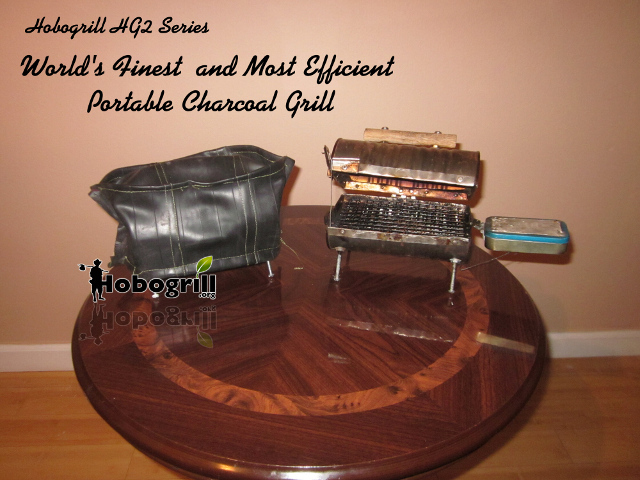 Place the entire foil pouch on the hobogrill and close the lid. Wait until you hear the sound of the initial few kernels of popcorn popping. After you hear this you can optionally open the grill to watch the foil inflate with popping kernels. Any type of colored spice such as paparika, or if desired caramel drizzle.